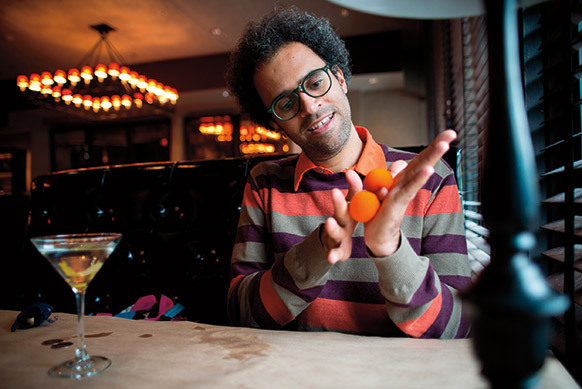 Anthropologist Graham Jones ’97 reveals how magicians guard their craft in the internet age. When a magician pulls a rabbit out of his hat, most people just want to know how he did it. Was there a hole under the table? Was the guy somehow hiding a small, squirming herbivore inside his waistcoat? Graham Jones asks deeper questions—the sort of questions you might expect from an anthropology professor at MIT. How, he wonders, did the magician learn the trick? With whom does he share his secret knowledge? How does he create an abracadabra stage persona that we can actually believe in, even though we live in a cynical age where anything magical is instantly presumed to be phony? 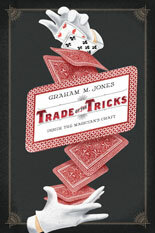 To research his first book, Trade of the Tricks, Jones spent a year inhabiting the bustling magician subculture of Paris. He hung out on street corners, watching the maestros at work. He frequented a smoky, cavernous bar as magicians grumbled about pay rates and boorish spectators. 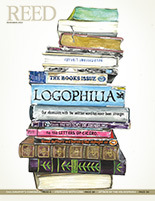 He learned how to pull a rabbit out of a hat, how to saw a lady in half, and how to conjure a pastry out of thin air. Jones is intent on asking a question that has wide application in today’s knowledge economy: How do we strategically manipulate knowledge? To demonstrate, Bébel shows how he inveigles a spectator’s playing card to the top of the deck. “He rotated his palms upward and wiggled his fingers in a rhythmical, rising motion,” Jones writes. Later, as he takes a private magic lesson, Jones learns more about secret sharing: His instructor, Stefan, shows him a new trick, but only after he gives Stefan one first. “You just traded me a beautiful one,” Stefan reasons, demonstrating that trick sharing among magicians is not about money, but is rooted in trust and veneration of craft. One of the interesting questions raised by Trade of the Tricks is whether this dynamic also applies to performers like classical violinists or skateboarders. Since finishing his book, he has published an article in Cultural Anthropology on America’s “gospel magicians”—that is, evangelical Christians who entice prospective converts by dazzling them with stage tricks. He has also written an article about how adolescents gossip online. Still, old habits die hard. Delivering a lecture at MIT last year, he picked up a book which then burst into flames. Wait, did he have a match up his sleeve? A small blowtorch, perhaps? Don’t go there. Don’t even ask. —Author info: Bill Donahue is a frequent producer of millinery rodents.